Why don't we have a Tab that shows only questions for our favorite tags, showing recent first? I keep having to scroll down the page to find the questions I'm interested in. It'd be like the Unanswered Questions -> My Tags tab, but for all questions with my favorite tags. I like this idea. We can already choose, through preferences, to hide questions based on our ignore list and questions relating to our interesting tags are highlighted, so why not have the ability to only view the interesting tags as a whole? However, I'm not sure that this should be a separate tab, could a search modifier or a link in the "Interesting Tags" section that is for all interesting tags work better? I don't know. That said, a tab would be intuitive given our existing interface. I'd love to be able to sort those unanswered questions by my tags and recent. 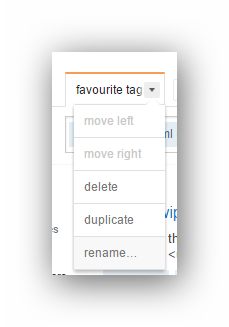 Then look for the default "Favorite Tags" filter. You can browse it in your browser, or have it emailed to you, or get the RSS feed at the bottom of the page (also present in the headers, too, if your browser auto-detects). Not exact what you want but this will help you to search for questions tagged with your favorite tags. You can use intags:mine is:q in the search field which will list all questions tagged with your favorite tags. You can also sort it with active, votes, newest and relevance. A while ago I went through all of the top tags and added everyone that didn't interest me to my ignore list. I now have ~160 ignored tags. This feels so wrong and hackish I wish there was a better solution. 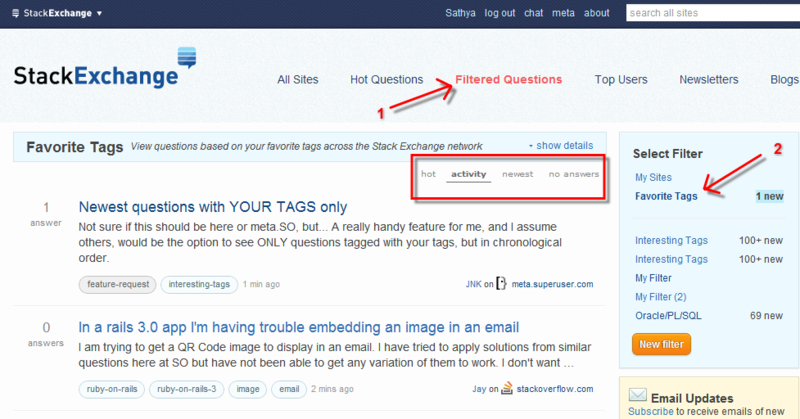 As I can see, now it can be done by going to stackexchange main page (do not worry, you will see stackoverflow's questions at the end), on the right (Tag sets), click on "Interesting Tags" (or any other category you would like to), and you will get a list of those questions! 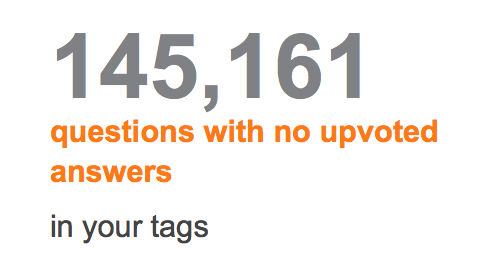 You will be able to sort the question with interesting tags by activity, newest and no answers. 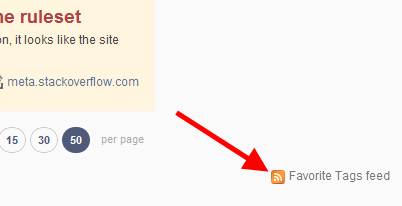 Best of all: you can get an rss feed at the bottom of the page of the given order of questions. Plus you can subscribe to get e-mail notifications about the news in the given tags at the "Email Updates" form with desired time interval (15 mins, 3 hours or daily). This has kind-of been implemented with the new-nav Candidate Release. But for now, there's no GUI option to set it up. It's not exactly as expected, but it is, in effect, what the original question was asking for: a quick way to view questions with favourite tags from the homepage. That can and will create a narrow focus based on tags. And basing focus on tags is something that I don't think is smart. If you want to see all questions for your tag, fine you can do that. Not the answer you're looking for? Browse other questions tagged feature-request status-declined tags favorite-tags . Won't you let me view only my favorite tags, please? How can I filter “Newest Questions” based on my favourite tags? How can I just view questions that are tagged with my “interesting” tags? View only “Interesting Tags” questions? Filter for Unanswered when clicking on Tags from the /Unanswered page?